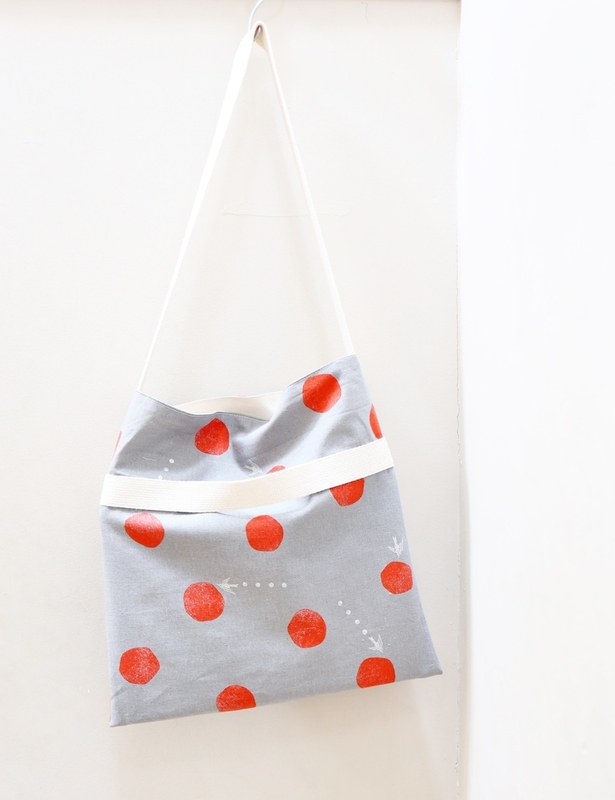 A small-size round tote bag is here. 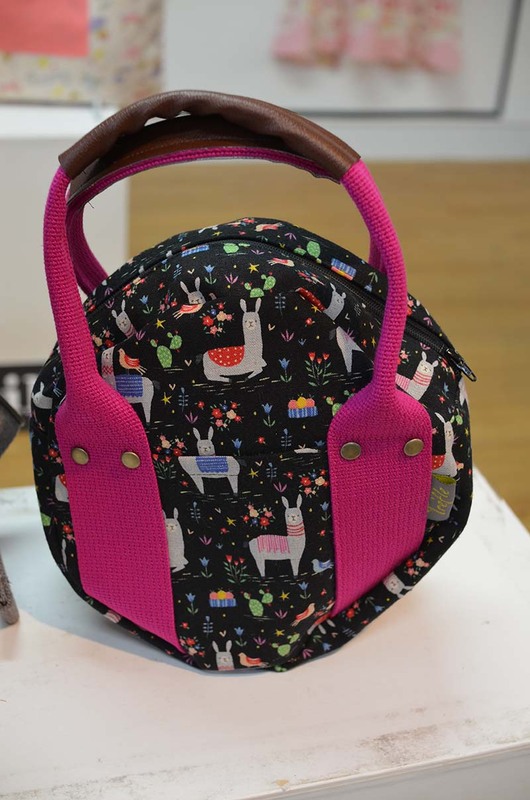 Combined with an artificial leather, a bright color tape handle creates an impactful look, and the bag features a cotton linen from the animal world series. 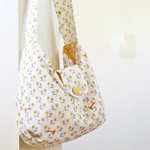 This print fabric with tiny colorful flowers is a perfect fit for making small goods. 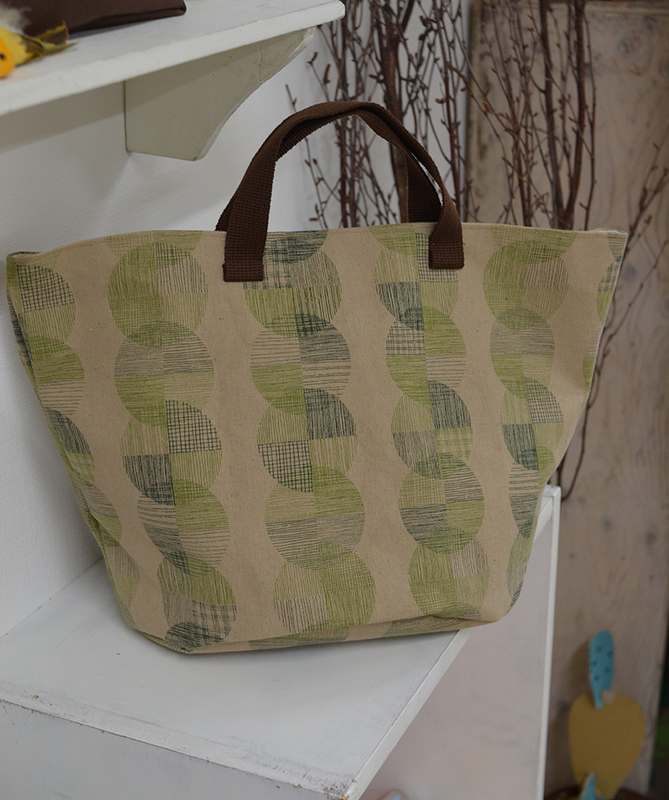 A large size bag is created using a fabric from echino’s standard series, Bigberry. 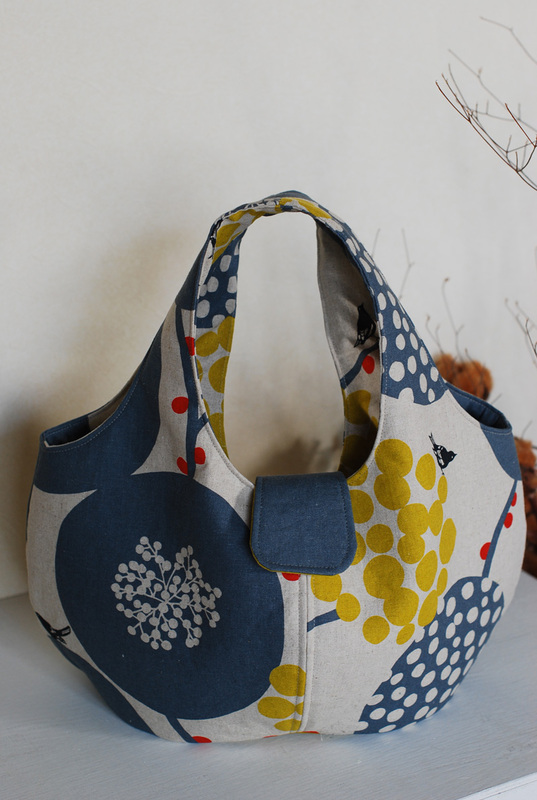 Making great use of echino’s large patterns, the bag is shaped into a chubby and round form. 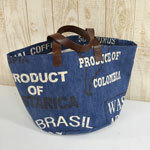 Styling it with a simple wardrobe, this bag can definitely spice up your style as a fashion item. 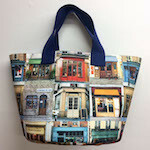 I thought the fabric’s large patterns fit nicely for a large size bag with ample room. 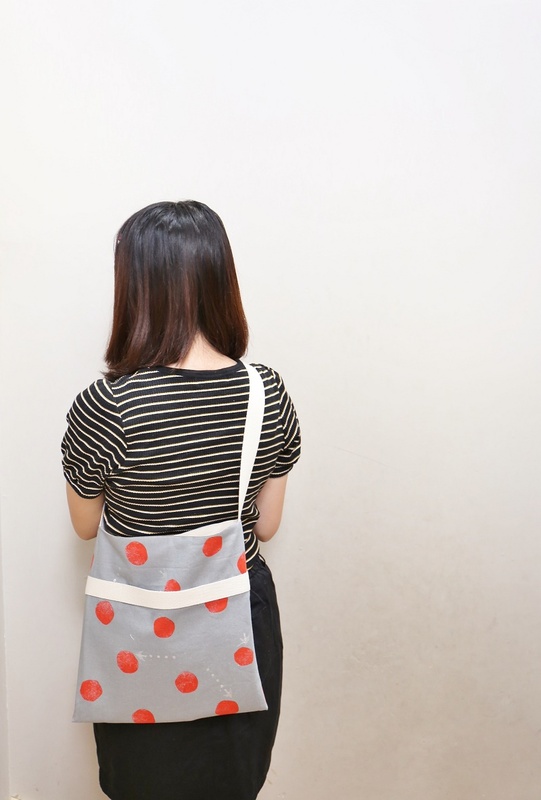 To enhance various sizes of hand drawn style polka dots, the design has a round and gentle look. 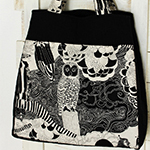 Careful attention was paid to the direction of birds when cutting the fabric. 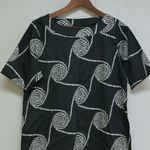 The pattern was made with special attention to create a round form. 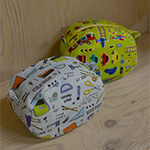 Because of this shape, it is a little difficult to attach a pocket. 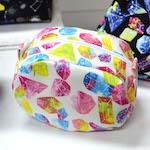 After all, having the pocket is convenient, so it is added on the inside by transitioning the lining fabric. 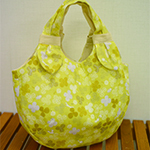 On the pattern, the rounded shape of the bag’s outer fabric is slightly different at the center and on the sides. 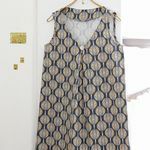 Please be careful when piecing these fabrics together. The bottom is an oval shape. 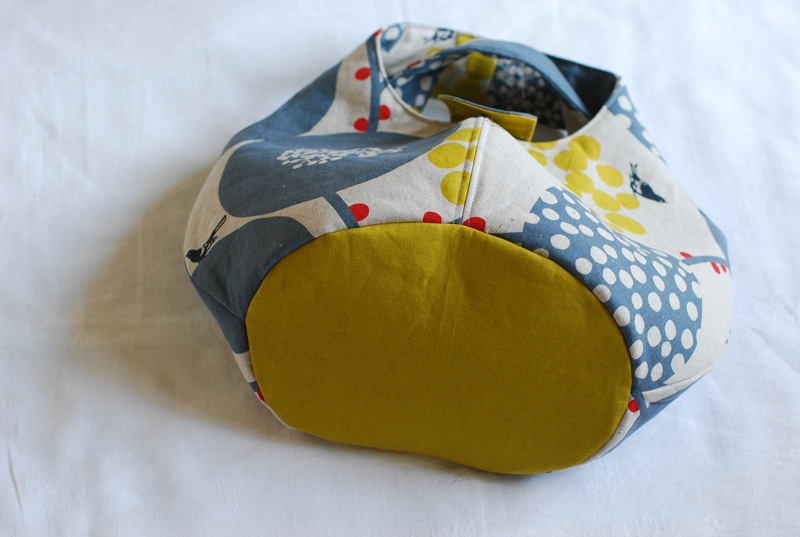 Use many pins or baste it first and sew slowly so that it will be aligned with a clean finish. When sewing the ends of the handles, please make sure to align the front side and back side respectively before sewing. 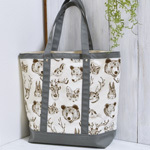 This bag with large patterns will add an accent to make your simple wardrobe look very stylish. KF: Thank you very much, Yoko! 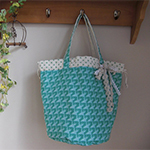 Here are sewing instructions along with step by step photos from her. Enjoy crafting! 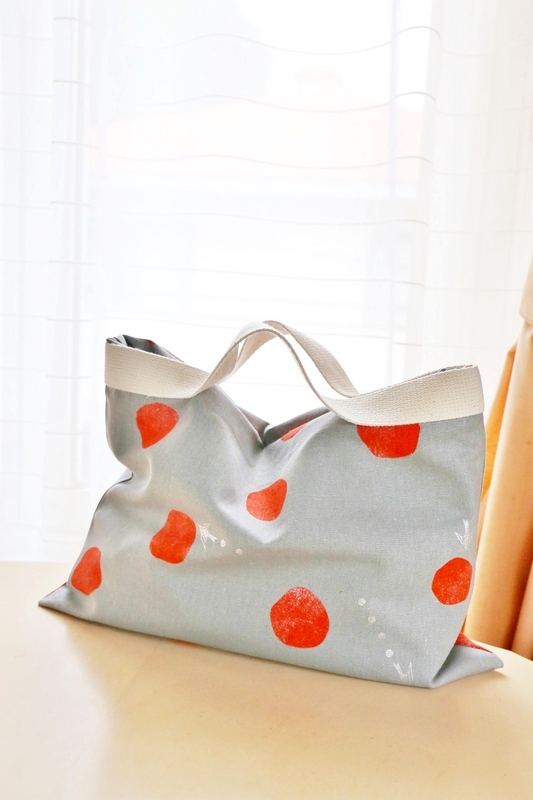 Made with a cotton linen fabric from the tentensen series, this marché bag with chic color tones and styles of lithograph or pointillistic drawing is perfect for mature ladies. 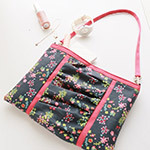 It definitely comes in handy as a sub-bag for your work fashion accesories. 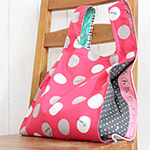 An easy-to-make two-way bag can be enjoyed in two styles – shoulder bag and handle bag. 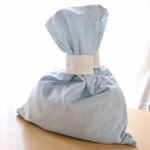 echino’s new design, water drop is a perfect cotton linen fabric for bag making. 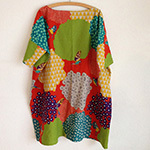 The red dots against the chic gray background is striking. 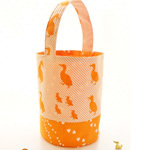 The small printed birds add an accent and stylishness. 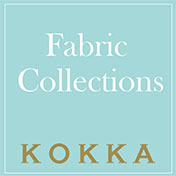 The fabric is featured in a large piece to reveal the design. The point is that no metal piece is incorporated. 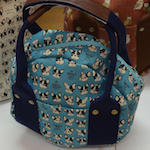 For this bag, a bag tape is used, but even it can be substituted with the fabric. This way, you can start making it whenever you want to. 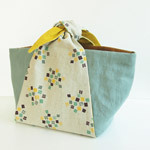 While this bag is a simple construction, it can be used in two ways – a handbag and a shoulder bag. 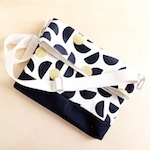 This time, I came up with an extremely simple design, so it does not have an adjustable shoulder strap. 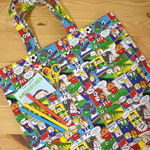 Just come up with the right length for the person who uses this bag. 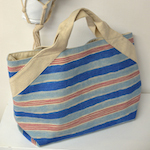 Depending on your style of the day, you can carry it over your shoulder or hold it with your hands. Fully enjoy two elements of this bag. 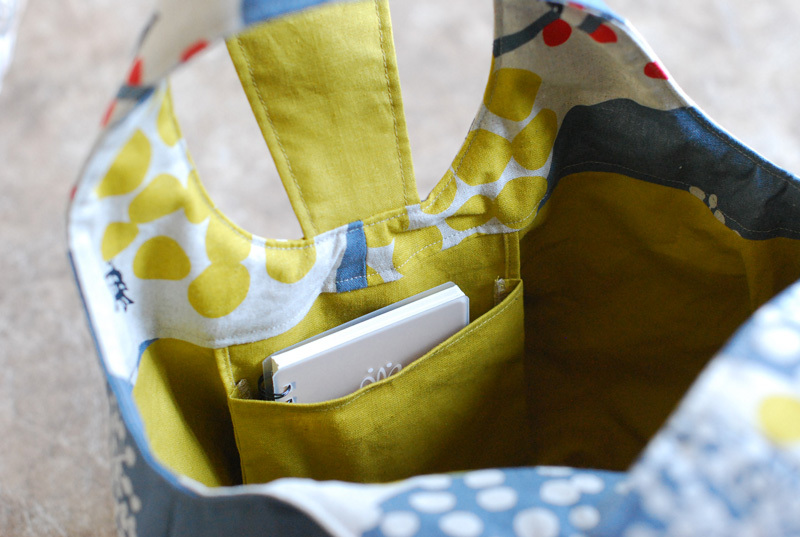 The A4 size documents fit perfectly, so you will find it convenient as a sub bag to carry files and magazines.